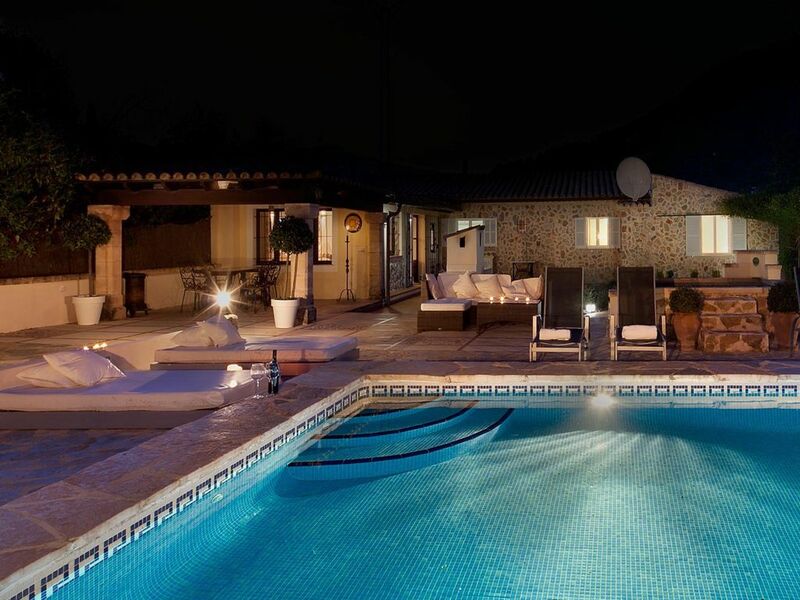 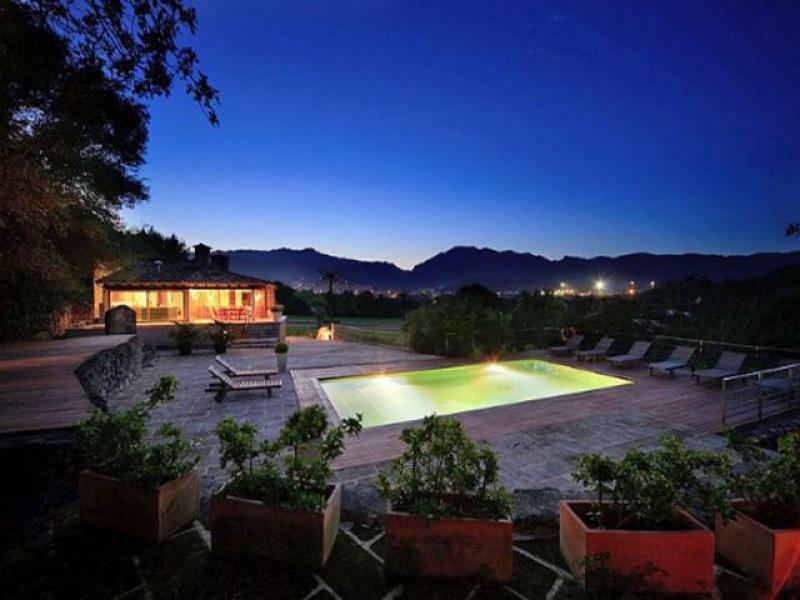 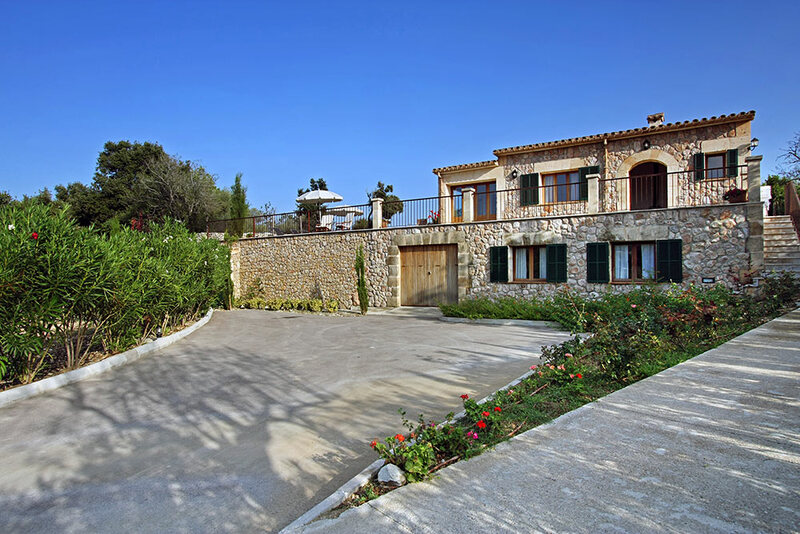 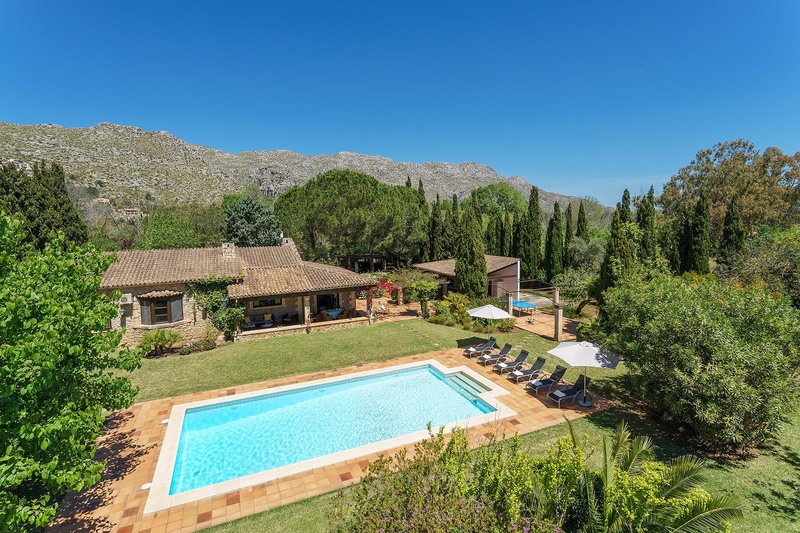 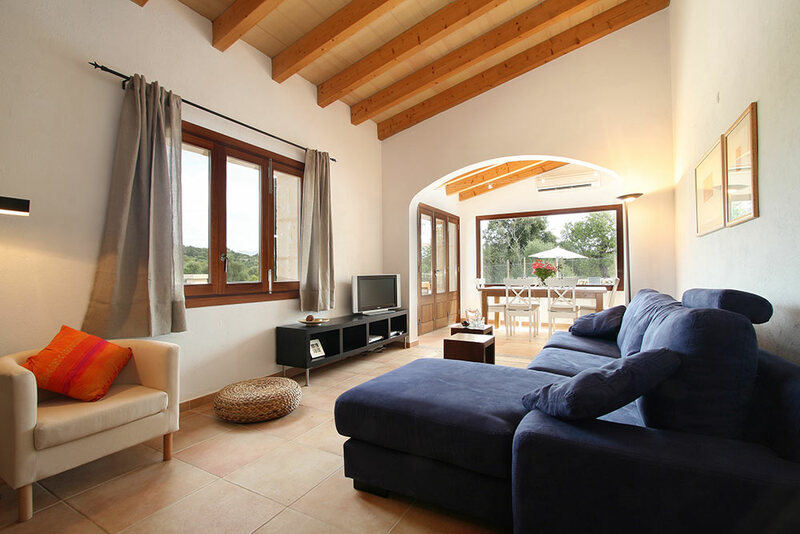 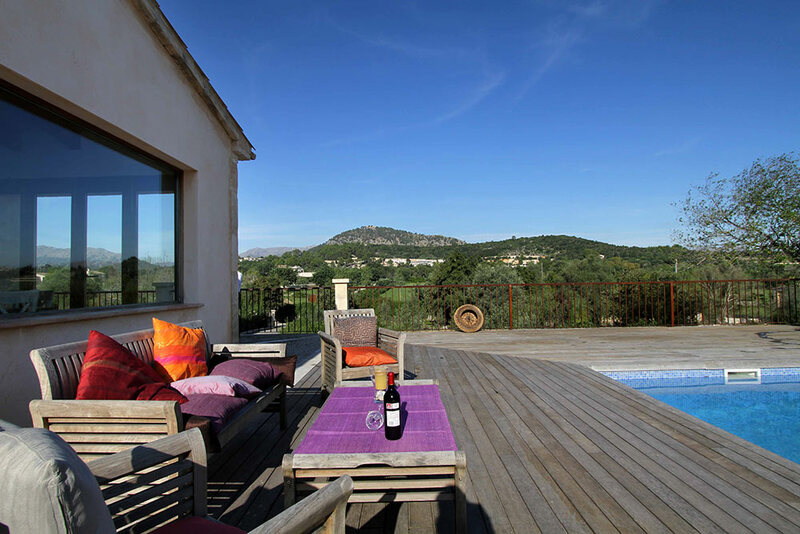 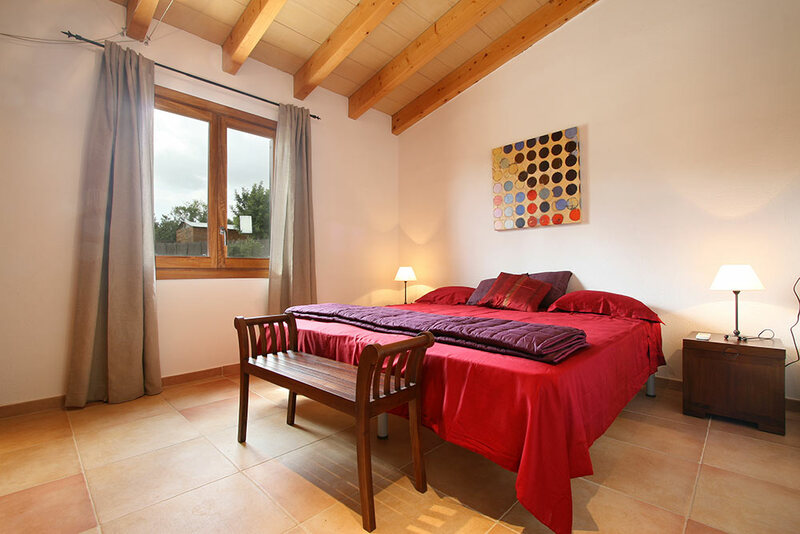 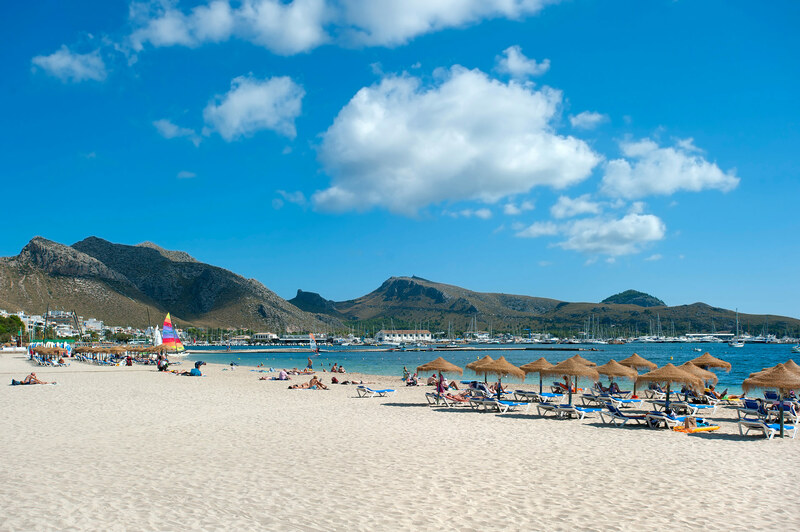 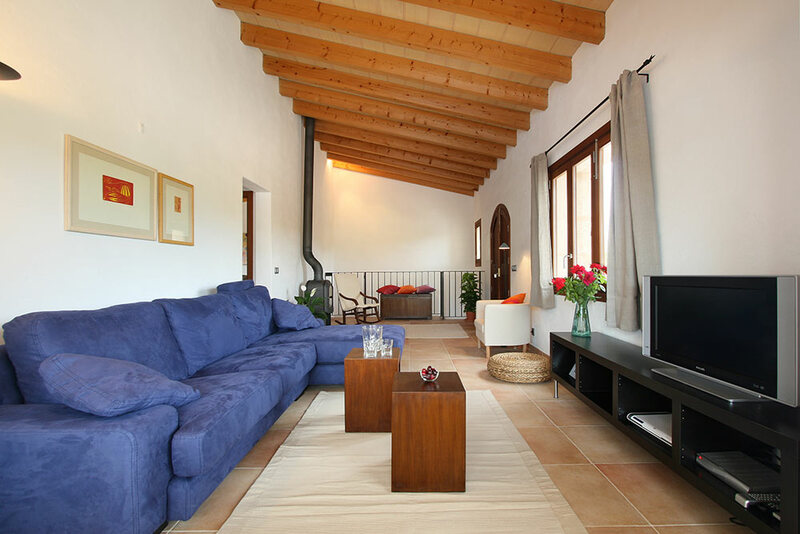 The Villa in a very quite position presents wonderful views all over the surrounding mountains of Pollenca. 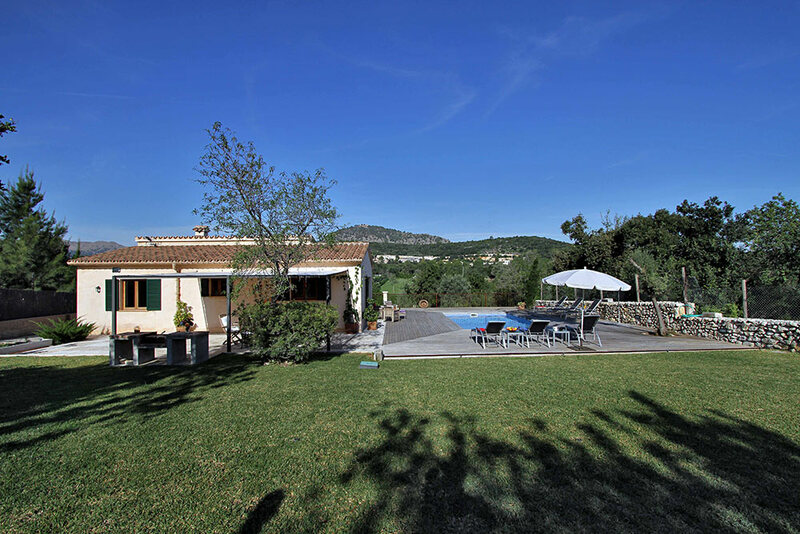 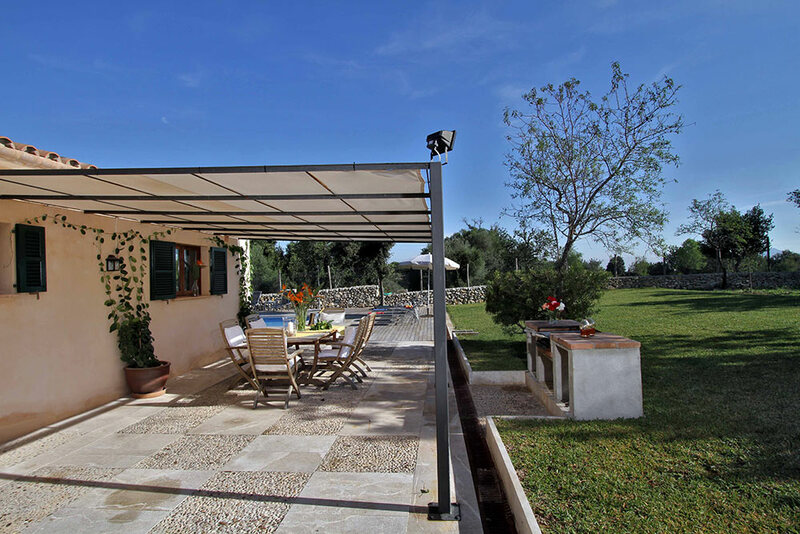 Only a large field separates this small Villa from the Golf Pollenca. 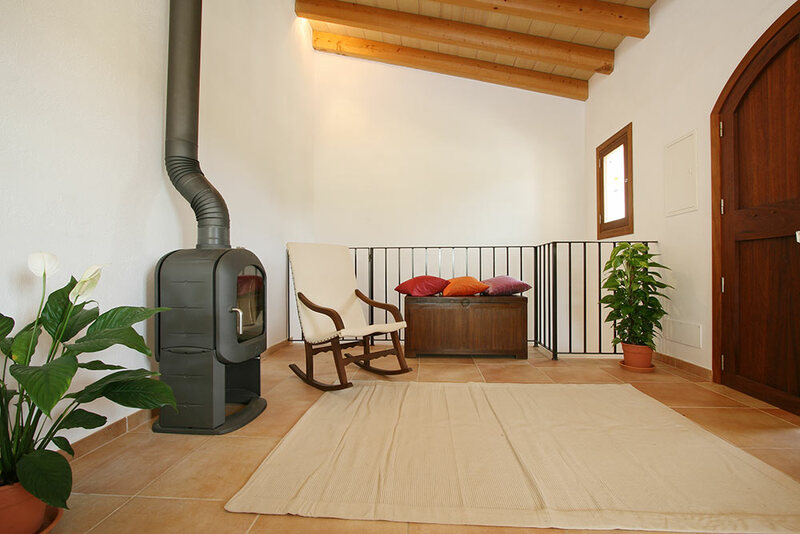 A pleasant staircase goes from the garden to the front terrace. 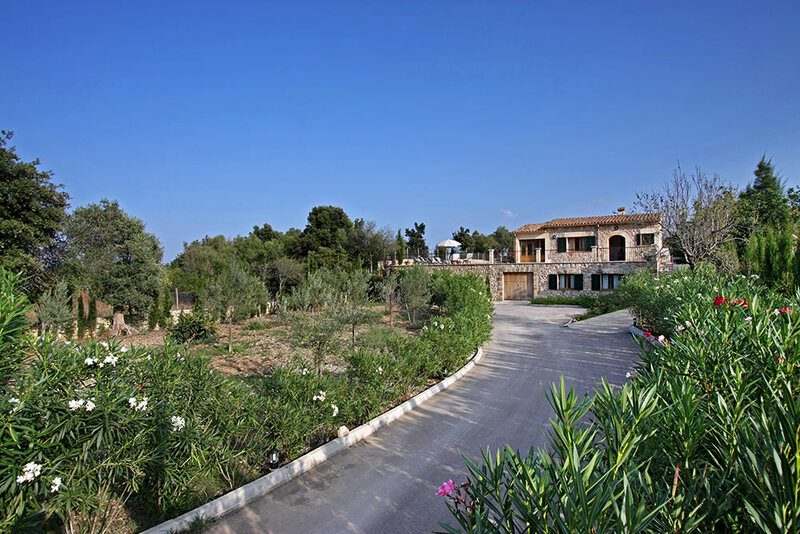 Here you find the main entrance of the house. 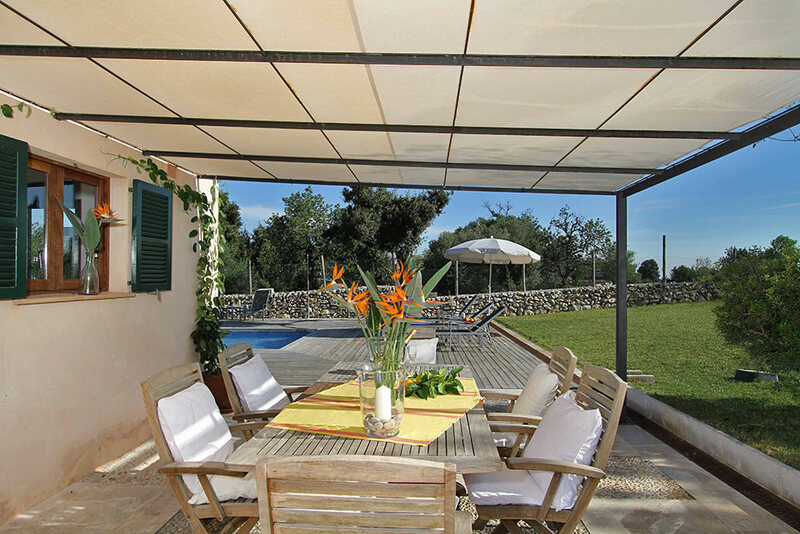 Cosy garden furniture let you enjoy the marvelous views over the countryside. 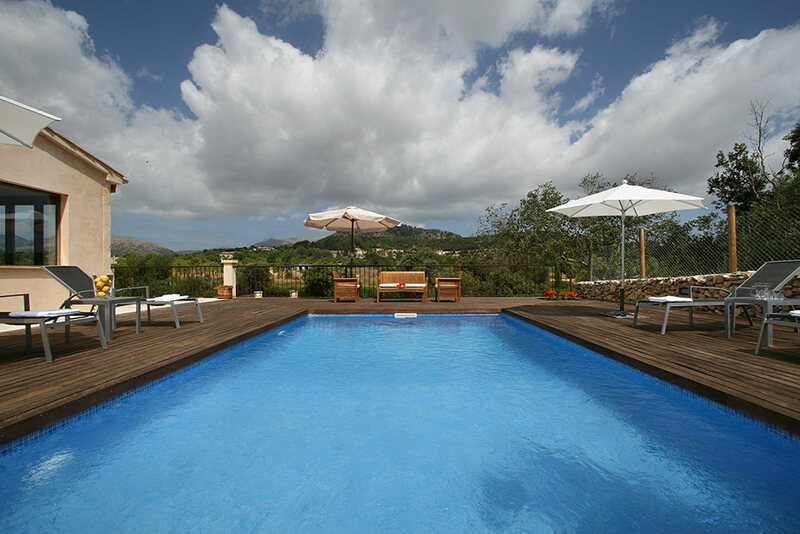 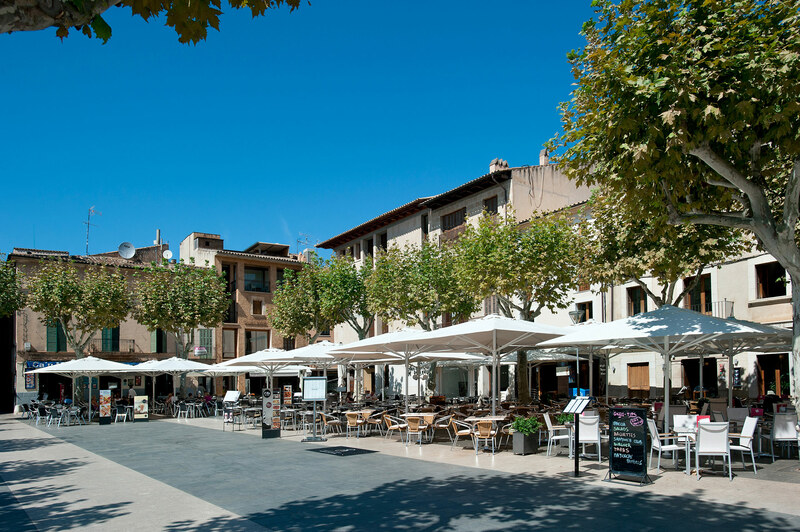 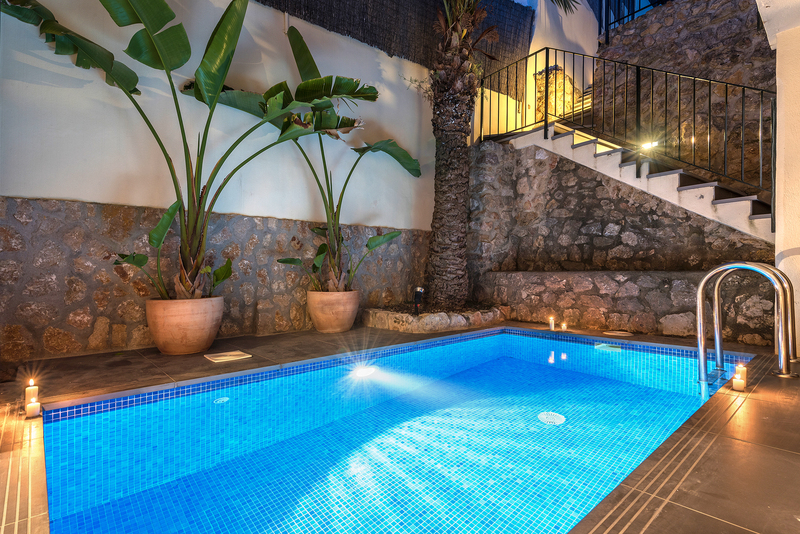 Beside this terrace there is the 8 m long swimming-pool with a wooden floor sun-terrace. 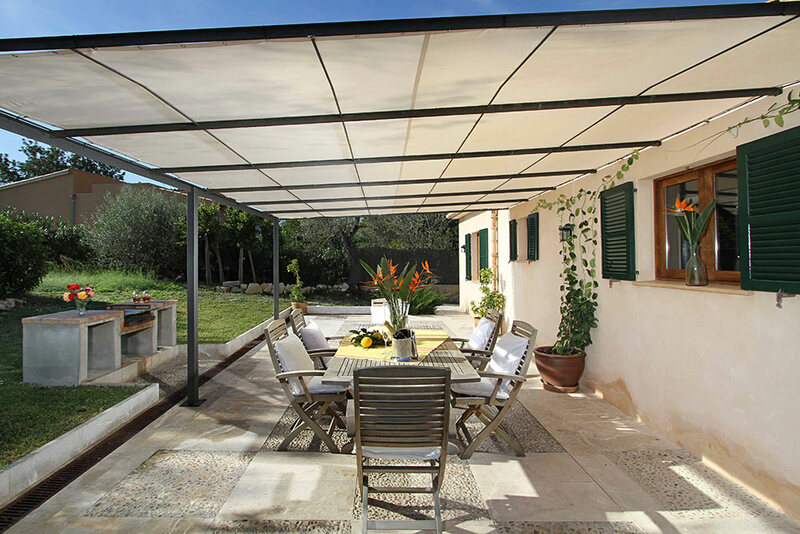 Behind the villa you find the barbeque with a sitting and dining area. 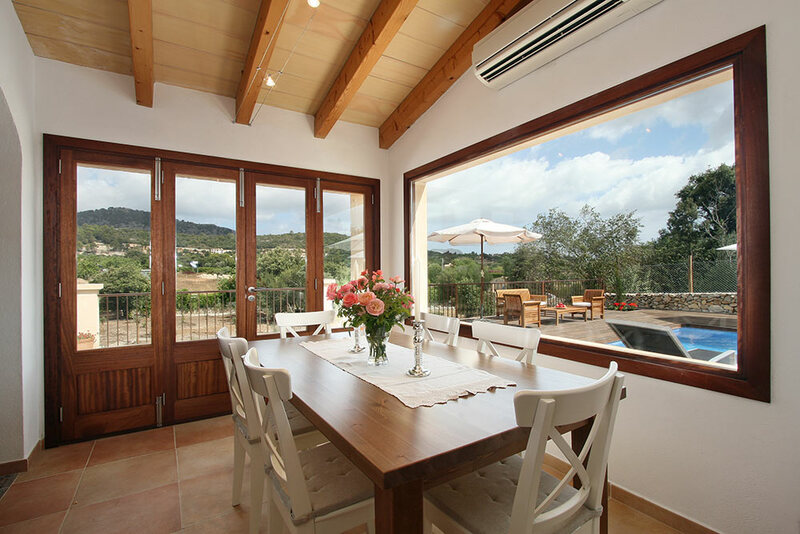 From the main-entrance you get into a very nice decorated living-dining room with a large panorama-window. 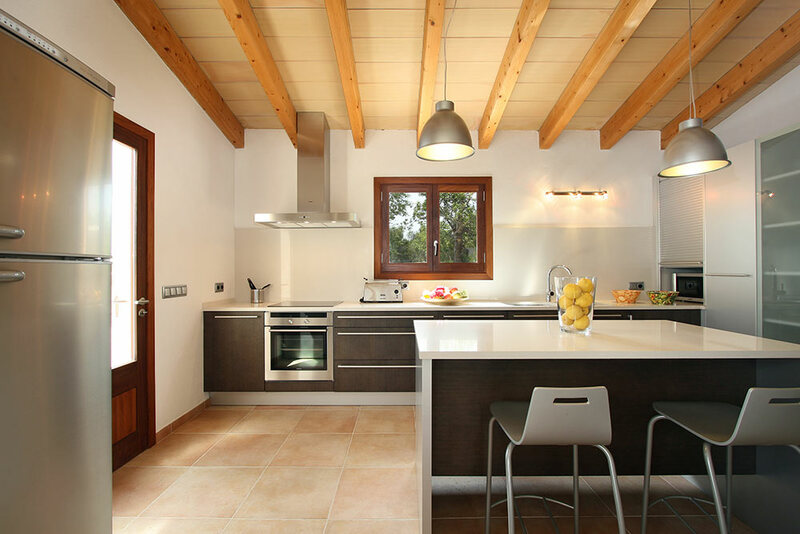 The kitchen is really luxurious with first class modern furniture. 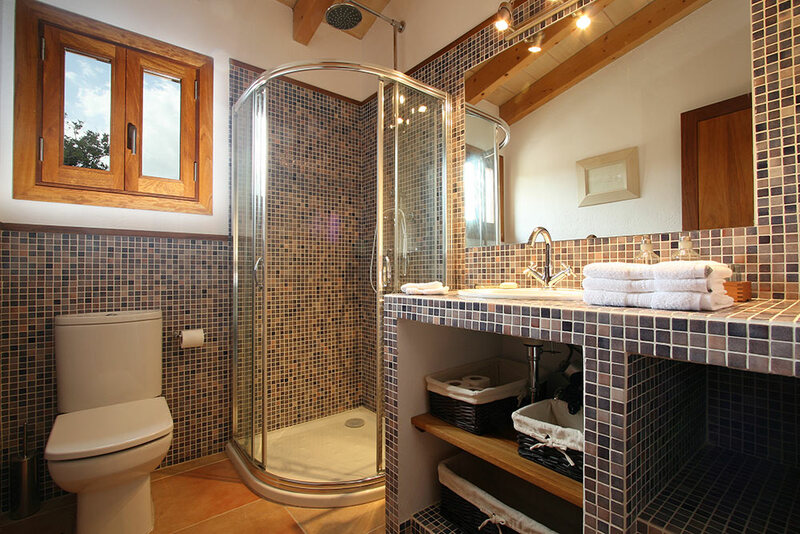 One double-bedroom and a bathroom are on this level.